In the week that Sony announced the death of physical media for the PS Vita outside of Japan, essentially killing it off, the Switch continues to show just how you make a successful handheld gaming machine. It is quickly becoming a platform which not only delivers big budget games but has also been shown a lot of love from indie developers. 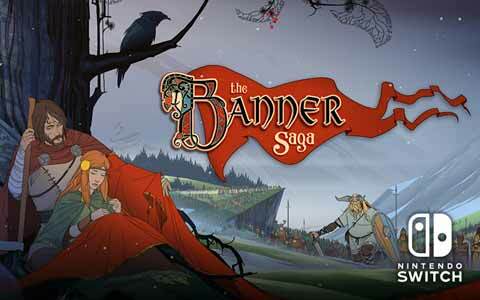 The Banner Saga, developed by Stoic and published by Versus Evil, combines an isometric battle system with a Telltale Games type narrative. Having successfully been released on several platforms they have now released it for the Switch. 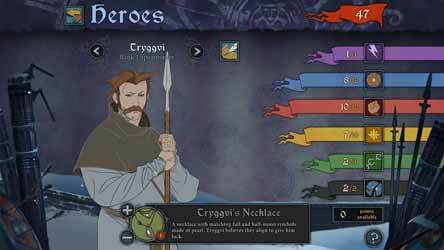 The RPG game is set in a land of Norse legends, but before you set off on your saga there are several things which you can do. Under Heraldry you can choose from seventy-three different banners for your character. Options allow you to load or save a game as well as set the overall difficulty. The game defaults to normal, but you can also play on easy and hard. There are twelve languages to choose from including a number of Asian and European languages. You can change the sound setting, either turning all the sound off or just the music. The game collects anonymised data on how well the game is running but if you don’t like this idea you can turn this option off. This single player game sees you in charge of various characters, predominantly Vognir and Rook, who, through battle, can increase their abilities for the regularly encountered fights. 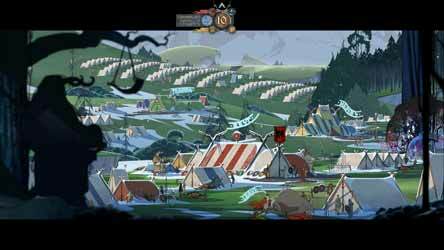 The game has a quest narrative with your characters meeting new people and encountering new towns and villages. Your main opponents are the Dredge, an inhuman scourge who hate humanity enough to want to wipe them out. You travel a world lost to perpetual twilight, the sun having been frozen in the sky. You follow two stories each of which involves fighting the invading Dredge, eventually the two merges into one. As the game offers you numerous choices along the way both parties follow differing paths to the game's conclusion. Decisions made by the player have a direct impact on the storyline, should you choose sides in a dispute? Just how trustworthy are the strangers you meet along the road. The outcome of the first game can be saved and imported into the second. Choices will determine the amount of men that you have, and good choices gain you renown, bad ones will see some or all the characters killed. In all cases your choices are rarely arbitrary and will have meaningful consequences for your progress, sometimes immediately while other repercussions will meet you further down your road. 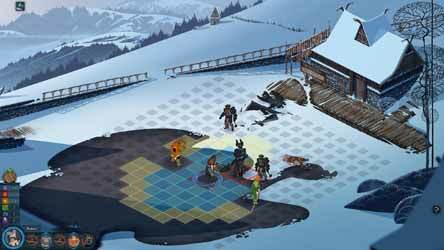 This narrative tale is often interrupted by the isometric battles, played out on a grid as a turn-based strategy game. These are usually between a small number of your own men and whoever you’re facing off. Even the pitched battles supposedly involving several hundred men are represented this way. The battles offer you various pre-battle options which also affect the outcome. Fighters come with differing skills some long range, like archers, some melee. If they have taken a beating in a previous battle their overall effectiveness is reduced, this can be countered by resting in the town and villages through which you pass, but resting costs you supplies, so, you have to balance out just how much renown is reserved for your fighters and how much is needed for supplies. The battle screen allows you to pan across the battlefield, giving you an overall idea of the forces ranged against you. Each of your characters have a certain number of movement points, levels of attack and defence. The screen also shows you the relative strengths of your fighter and theirs, so you must plan your attacks sometimes using both long range and melee. When you come to attack you also get a number of options to choose from, their effectiveness depends on your opponent. You do get a small amount of willpower and this is used to move characters past their normal range and characters can have area attacks which will strike more than one enemy. So, the basic combat turn will consist of Move, Ability, Attack and End Turn. The switch allows you to either confirm game choices using the joysticks and buttons or you can use the touchscreen when being used as a handled device. As you journey along there are other consideration, your men need feeding and so supplies are important, the problem here is that the renown that you acquire is used for both purchasing improvements for your heroes as well as supplies for the army, spend it all on the heroes and you are likely to lose men to hunger and desertion. There are many reasons to recommend the game. The voice acting is strong with an impressive score. 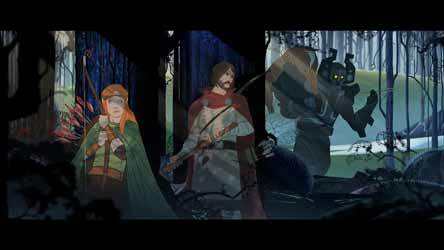 The story is engagingly all presented with visually pleasing hand drawn graphics which have taken inspiration from the work of Eyvind Earle who gave Disney’s Sleeping Beauty (1959) its distinctive look. There were no issues playing the game either as a handheld or docked, although the art does look better undocked. 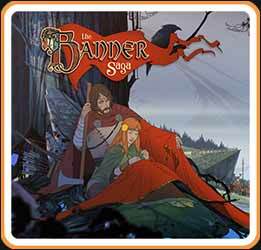 For a game that was originally released in 2014 Banner Saga still impresses in this new port.